Receiver « Global Market Insights, Inc. The commendable expansion of the aviation space can be aptly credited for the significant proceeds that aircraft communication system market has been accumulating in the recent years. According to a study conducted by IATA, the average global citizen now undertakes air travel once every 21 months – a significant increase from the 43-month duration in 2000. Not to mention, military expenditure has also observed a rise lately, with governments setting aside a major portion of the national budget for the defense sector. Driven by surging military spending and the rising number of defense aircraft, aircraft communication system market will inevitably propel over the coming years. 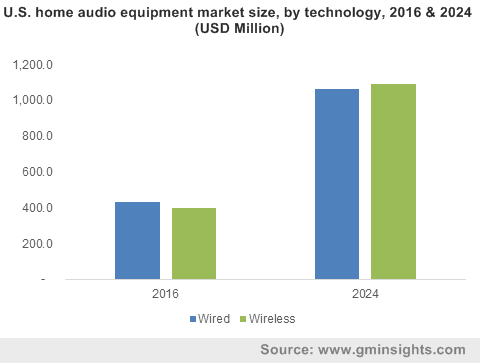 In order to remain aligned with the exponential demands of the current consumer base, innovative products are also being introduced in aircraft communication system market. With air travel becoming more affordable, a new generation of jetsetters have come into being, leading to increased air traffic. In consequence, pilots are under tremendous greater pressure to navigate in the congested air space. 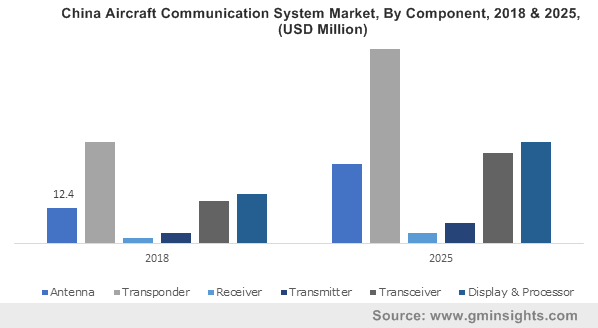 As the demand for real-time satellite access and air traffic data to undertake rapid decisions increases, aircraft communication system market is likely to receive commendable momentum. For instance, the EU has adopted the SANDRA project that integrates different plane communication systems in a single system. This unit facilitates faster data connectivity and replaces banks of radio hardware with state-of-the-art software systems. Thus, data like weather conditions and air traffic situation that used to be verbally communicated earlier, can now be accessed by pilots in real time through flight computers. A single system based on IP technology, SANDRA is capable of transmitting data through multiple data links. It can also transmit data to the ground via digital and high-speed satellite, providing communication to the aircrafts in a seamless manner. Indeed, the system has increased aircraft safety owing to the reliable and quick communication between the aircraft and control tower. In consequence, this seems to have encouraged aircraft communication system industry players to advance their capabilities and bring about highly innovative products. Speaking of which, SATCOM, one of the pivotal products in aircraft communication system market, has proved itself to be rather crucial in air traffic management. Its increased deployment in military aircrafts is likely to upscale its demand, thereby stimulating aircraft communication system market size from SATCOM. One of chief drivers for the aircraft communication system market is the exponential growth of the commercial aircraft industry. Considering an instance of Airbus, one of the pioneers of the aerospace industry, the firm has set its goal of tripling its revenues within the next seven years to enable its commercial aircraft business reach $10 billion. It also plans to target measures worth $555 million in 2018 to improve productivity. Furthermore, in the year 2018, Airbus commercial aircraft deliveries rose to 800 – an 11% surge compared to 2017. Powered by substantially large investments in place, in conjunction with the escalating adoption of low-cost carriers and enhanced regional connectivity, global aircraft communication system industry is likely to accrue massive ROI from the commercial air carrier segment. With cutting edge innovations being brought forth rapidly in aircraft communication system market, it is rather overt that this business space would thrive commendably in the ensuing years. NASA has recently developed The Aircraft Access to System Wide Information Management that is capable of replacing the underground cables airport communication system with wireless communication. This is one of the instances of high-grade technological advancements prevalent in aircraft communication system industry. As per reliable estimates, aircraft communication system market size is anticipated to cross USD 2.9 billion by 2025. This entry was posted in Automotive & Transportation and tagged Aftermarket, Aircraft Communication System Market, Aircraft Communication System Market Size, Antenna, Commercial Aircraft, Data Link Communication, Display & Processor, Global Aircraft Communication System Market, Helicopters, HF, Military Aircraft, OEM, Receiver, SATCOM, Spacecraft, Transceiver, Transmitter, Transponder, UHF, VHF.